Soya bean Meal is free flowing, coarse and granular. It is produced from cleaned, Non GMO Soya beans, after a series of preparatory physical processes, followed by a multistage extraction of Oil. All of this is, in a highly sophisticated, hygienically controlled plant. The processing of Soyabean Meal involves a series of heat treatments thereby destroying all its anti nutritional factors. Our Normal Soybean Meal as well as De-hulled Soybean Meal, is one of the most consistent protein ingredients available to the feed formulator. We produce Soybean Meals that meet the end-users specifications for protein and fibre. Our Soybean meal is a concentrated source of protein and energy, and is lower in fibre than most other oilseed meals available to the feed manufacturer. 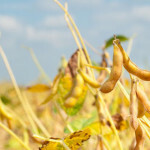 The protein fraction of Soybeans, finds its way into soyabean meal as a livestock feed ingredient, as soy protein ingredients for the food industry and for industrial uses (paper coatings, adhesives, etc.). The higher protein, energy and lower fiber content of soybean meal allow nutritionists to formulate higher-energy diets that are more efficient in the conversion of feed to meat. 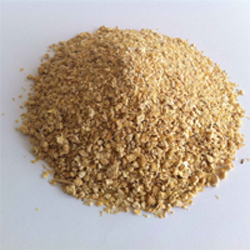 Soybean meal is used by Broilers, Layers and Turkeys; Swine, Ruminants, Beef Cattle, Dairy and Sheep and also finds its way into a large variety of uses (Pet Foods, Aquaculture, Minor Feed Uses, Food and Industrial uses). The combination of competitive price and nutrient characteristics favor its use by Swine and Poultry. The highly digestible protein in Soybean meal provides high levels of available amino acids that can complement amino acids in cereal grain for least-cost rations for Swine and Poultry. Efficient Swine and Poultry rations are dependent on Soyabean Meal and cereal grain. In ruminant rations also Soybean Meal is competitive with other protein ingredients. Soya bean meal is ideal for Poultry Feed; it dominates the market for protein supplements for poultry because of its consistency in nutrient content, its ready availability year-round, and its high content of crude protein. Poultry producers desire high-energy diets and no other common plant protein feedstuff exceeds Soyabean Meal in Crude Protein content. Soybean Meal is the only common protein supplement that is included in poultry rations with no limitation as to the quantity used, as it is properly toasted to denature the trypsin inhibitors, and hence there are no anti nutritive factors to consider when formulating diets. 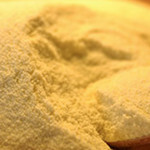 When blended with corn or grain sorghum, soybean meal provides a good balance of all the essential amino acids needed by poultry, while methionine is economically provided by supplements produced by the chemical industry, allowing simple Corn-Soybean Meal diets to effectively meet the amino acid requirements of the chick. The poultry industry, including broilers, turkeys and laying hens, is the major user of soybean meal. Broilers have a high demand for crude protein and amino acids and thus need a protein source high in amino acids. With the probable decline in the use of animal by products, even more soybean meal will be used. Soyabean meal is also a preferred source of protein in Swine diets. Corn-Soyabean Meal based diets provide an adequate balance of amino acids these can be fortified with supplemental minerals and vitamins. There are other ingredients of animal origin that have a higher protein content than soyabean meal but they also have other ingredients that limit their use in swine diets. It is also a rich source of lysine; hence the pig’s lysine requirement is met without feeding excessive amount of non-essential nitrogen. This also enables it to be a good complement to cereal grains commonly fed to swine. 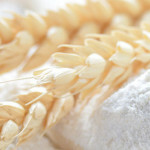 As a percentage of total proteins, cereal grains are relatively high in sulfur amino acids therefore Soyabean Meal is an excellent choice as a protein supplement for crude grain-based diets. Soyabean meal is replacing Fish Meal in Aquaculture feeds due to price, consistent availability and its nutritional properties. Our Solvent Extracted Soyabean Meal, prices are comparatively more stable than fishmeal because of its consistent supply. 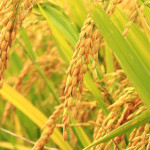 It is beginning to be widely used in aquatic diets also, offering more than just a nutritional benefit. Diminishing use of fish meal and an increasing use of soybean meal will improve the effluent characteristics of aquaculture operations. The protein in Soybean meal is of high quality when evaluated in complete and balanced diets fed to dogs and cats along with other protein sources or supplemental amino acids to achieve proper amino acid balance. Soyabean Meal is used for De-fatted Soya Flour, which can be used in nutritious biscuits. Soya meal contains minerals like calcium, magnesium, iron and folic acid and hence is used in the Pharmaceutical Industry also. Sand & Silica	2.5% Max. Urease Activity-At 30oC 0.3mg/g Max.